Can you leave behind the video games, iphones and enter a simpler time? Venture in a world of fair maiden and noble knights at the Bristol Renaissance Faire. This weekend, the annual Bristol Renaissance Faire will open its doors to friends and foes alike. This year’s celebration will be more energetic because everyone will be celebrating the Faire’s 25th Anniversary. For eight weeks starting July 7, this 30-acre site offers everything that a maiden or knight could desire in Elizabethan England. From 16th Century games to music and of course gigantic turkey legs, your family can find themselves immersed in the time period. Kids and adults will delight in the spectacular cast of characters that roam the grounds. Whether you want to be rowdy and raucous or calm and serene, there will be activities to fit your personality. As you wander the grounds, expect to see jousting knights, earth-clad mud beggars, graceful aerial performers and her Royal Highness Queen Elizabeth. Younger guests can join an adventure called Kid Quests. Offered twice daily, these age-appropriate quests depart from the Kids Kingdom twice daily. Children ages 4-10 are invited to help recover the treasure during the game. Cost is $5 per child and parents must accompany the child. Even if the kids aren’t the adventurous type, the Kids Kingdom offers lots of activities. Choose from climbing a pirate ship or make a craft, there are several options to keep the kids busy in their special area. To celebrate the opening weekend, the Bristol Renaissance Faire will offer free kids’ admission. Please visit renfair.com/Bristol/tickets/discountcoupons.asp to get the coupon via email. Other events over the 9 week performance include Celtic Weekend, Steampunk Invasion and Costume Contest. 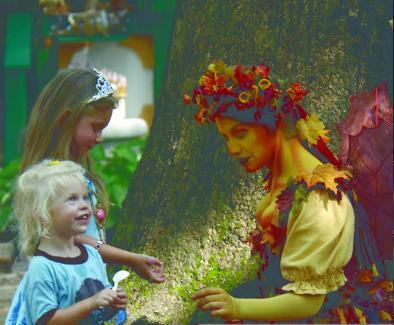 For a complete list of special events, please visit the Renaissance Faire website. The Bristol Renaissance Faire is located just west of I-94’s Russell Road exit, near Kenosha, Wisconsin. The event will be open rain or shine from 10 am till 7 pm on Saturday and Sunday. The season runs July 7 through September 2 and Labor Day, Monday September 3. Adult tickets are $19.95; children’s tickets are $9.95; and children under 5 are free. Discounts are available online at renfair.com or by calling 847-395-7773. Disclosure: I received tickets for my family to attend the Faire this summer.